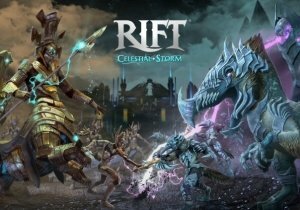 RIFT is proud to announce that with update 4.8, they have reached their 8th anniversary – with it comes two new major content initiatives. The first of these is the Expert Dungeon: Enclave of Ahnket. This is a five-man dungeon and players can prove their might from Alittu to the Tower of Ahnket. The Ascended will battle their way through simulacrum standing in their way, before ultimately establishing a base camp for further expeditions into this area. Then there’s the World Event, Carnival of the Ascended. This worldwide Carnival celebration will have carnival games and special items to acquire. There are a wealth of mounts, essences, costumes, pets, consumables, and titles available for purchase during this time. More information can be found below. Mgame USA has announced that Rise of Dragonian Era (RODE) will be entering its last closed beta phase this weekend. Waystone Games, the EA studio behind the new MOBA, Dawngate, has launched EU Servers Alpha and Practice Mode (bots) while at Gamescom. Weekly Recap #204 Sept. 8th - Robocraft, Skyforge, DotA 2 & More!